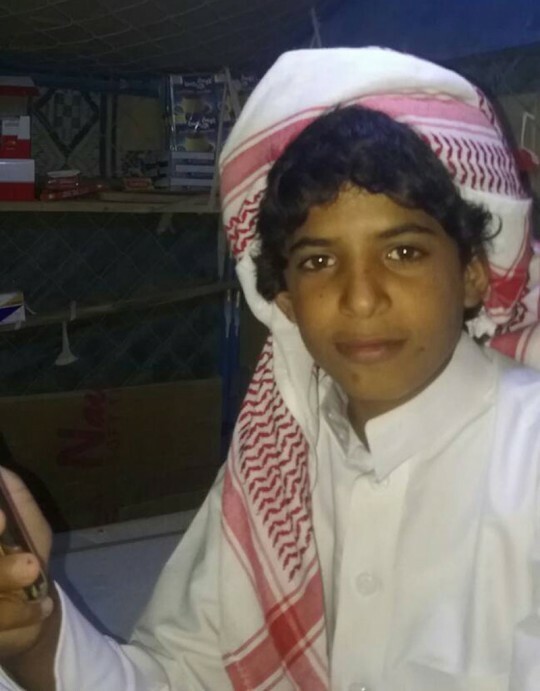 On March 5, 13-year-old Amer Ali al-Saqra Huraidan and his cousin were on their way home from visiting relatives in al-Hudhi, a small town in the eastern Yemeni province of Hadramout. As they drove along a desert highway around 4 p.m. local time, a U.S. drone circled overhead. Somewhere thousands of miles away, the drone operator launched a strike. A short time later, Amer’s cousin Hasan awoke to fire and smoke rising from the mangled pickup truck and heard the buzz of the drone overhead. He had wounds on his right hand, leg, and head; chunks of shrapnel would later be removed from his body. But Amer was barely recognizable. The strike had charred his body and torn it to pieces, killing him instantly. In a phone interview with The Intercept, Hasan, 19, said first responders were reluctant to come to the scene because they were concerned about a possible second strike by the drone that still hovered overhead. He and his family have been left wondering how the U.S. military mistook a fifth grader for a militant. The post A 13-Year-Old Boy and Other Yemeni Civilians Were Killed in U.S. Drone Strikes This Month appeared first on The Intercept.